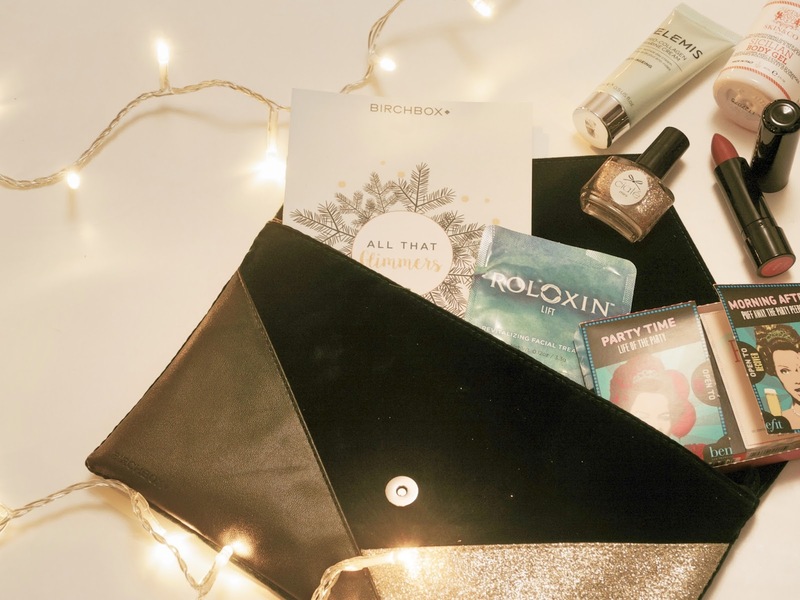 Make sure you check out last month’s Birchbox feature if you haven’t already as that will probably explain why I am so pleased with December’s offering. Let’s start with this month’s packaging; a stunning little clutch bag in a mixture of seasonal colours and fabrics, that will look just as good teamed with jeans and heels as it will with your favourite party dress. Gorgeous. Moving onto the contents and this month I can safely say that not one item in here has disappointed me. The Ultimate Party Kit from Birchbox includes miniatures of Benefit’s They’re Real! Push Up Liner and Puff Off and is designed to give you a party night treat as well as morning after relief. Last time I tried They’re Real, I must admit I wasn’t too keen and personally I still prefer the Kat Von D Ink Liners, however, this time around I’ve found it much easier to use and it does look very good when used for a flick. Puff Off on the other hand is a product I have wanted to try and I have fallen in love with a little bit, it definitely has helped me look more awake the past few mornings and I used to use Ooh La Lift (I think) all the time and this look as though it could be a good replacement for it. I’ve only ever used a few ModelCo products and to be fair I’ve liked them all, they’re nice little products that get the job done. Their Ultra Long-Lasting Lipstick in Kitty is a gorgeous my lips but better shade and although I can’t say I noticed it being ultra long-lasting like the name suggests, what I can say is that the colour is perfect for those ‘makeup, what makeup’ kind of days and that it feels so lovely and moisturising on the lips. I love Ciate nail products, they look nice and are really easy to work with. I was so pleased to find one of their Mini Mani Paint Pots in this month’s selection because they it will look great layered over my snow inspired nails this Winter. I’ve never tried any of the Elemis products before, but I am so excited to try out the Pro-Collagen Marine Cream over the festive period to see if it can make my dull skin a little more radiant and I’ll use this alongside the Roloxin Masque for best results. Finally the Sicilian Shower Gel smells so zesty it brings back so many fond memories of this year’s visit to Italy. I tend to mix it up when it comes to shower gels & creams so this one is definitely flavour of the month! As you can tell I am so much happier this month and so glad I stuck with it and I guess that the moral of the story is to stick with it, some months you will love and others not so much but it’s worth trying out new things every now and again right?